REDUCED! REDUCED! REDUCED! 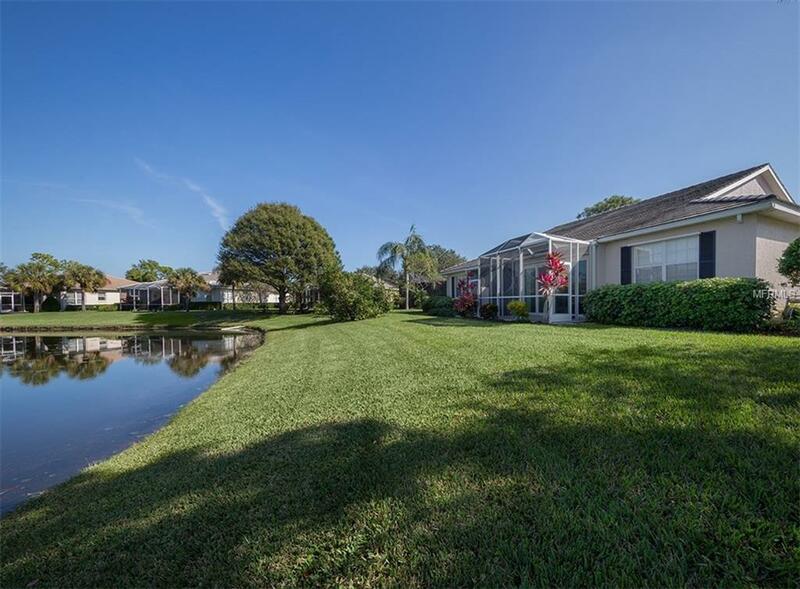 Dont miss this Maintenance Free Villa with a Beautiful Lake View in The Plantation. This 2 Bedroom, 2 Bath with a den home has so much to offer with its thoughtfully designed floor plan and open concept. Enjoy the eat-in kitchen featuring a breakfast bar and newer appliances. The expansive lake view brings the outdoors in. For safety, the home has impact sliding glass doors leading to the lanai and clear lexan hurricane shutters provided for the windows. The villa has been re-plumbed and air-conditioner is newer with the UV light and extra thick filter. The neighborhood has an active clubhouse and a community pool. The Plantation Golf and Country Club is a master planned community with two championship golf courses, becoming a member is optional. This is a great opportunity, so hurry, this villa is priced to sell! Additional Lease Restrictions Buyer Should Confirm Lease Restrictions With Condo Association. Pet Restrictions Buyer Should Confirm Pet Restrictions With Condo Association.